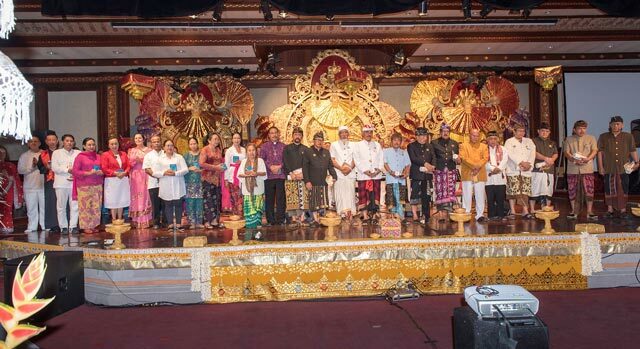 Recently, members of the Sri Chinmoy Centre performed a Songs of the Soul Concert in Denpasar, Bali; the event began with an interfaith prayer for peace. The occasion of Mother Teresa’s canonisation brought to mind many memories of the kindness and affection that she showed Sri Chinmoy and his students over the years. 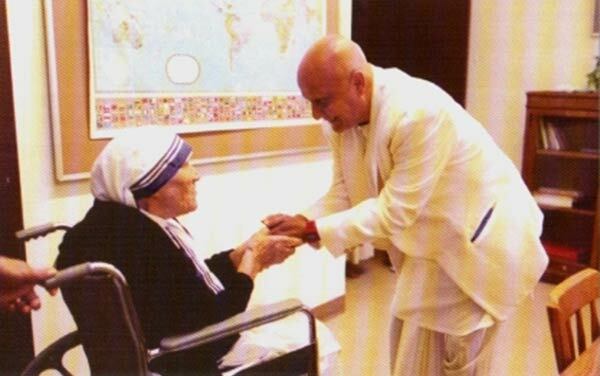 Sri Chinmoy and Mother Teresa had a very significant friendship; Sri Chinmoy often described her as his mother of Compassion, and at the same time his Sister of Affection. Over the years, they met quite a few times, and exchanged many letters and phone conversations. Sri Chinmoy and his students worked with Mother Teresa on a number of medical projects that were dear to her heart and she fully supported his peace-oriented activities. Sri Chinmoy often recalled Mother Teresa’s qualities of affection and compassion; for example, during their meeting in 1994 when he presented her with the prestigious U Thant Peace Award on behalf of the Peace Meditation at the United Nations. 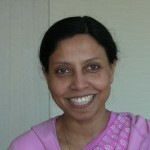 Members of the Sri Chinmoy Centre have been involved in various projects promoting happiness, including participation in the United Nations International Day of Happiness. 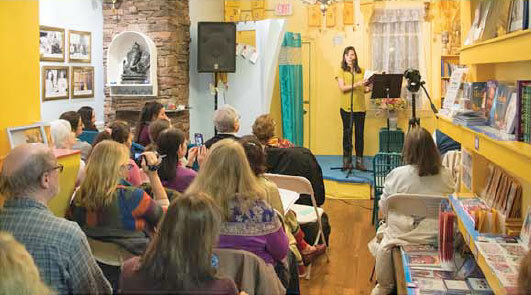 An event at Panorama Cafe, New York entitled “Happiness in Poetry”, which included sharing short poems and aphorisms on the theme of happiness. 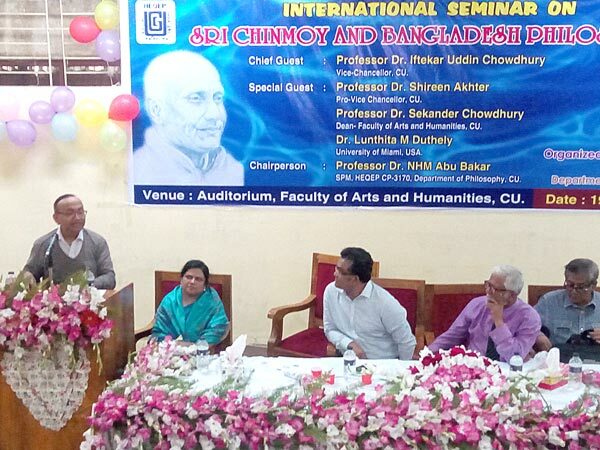 The past few months have seen publications of Sri Chinmoy’s writings in many places around the world to an appreciative audience. 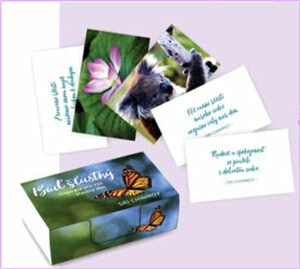 To celebrate the International Day of Happiness on March 20th, the Czech Sri Chinmoy Centre published a new box of gift cards entitled “Be Happy,” decorated with beautiful photographs and aphorisms on happiness by Sri Chinmoy. 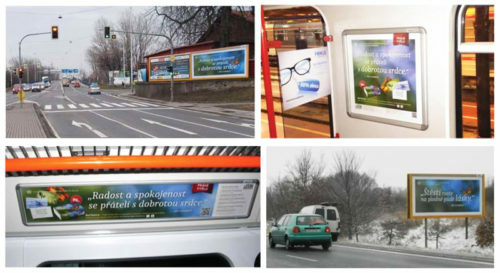 The advertising featured beautiful posters which could be seen all over the Czech Republic. At a newly designed Sri Chinmoy TV website, we have several new interviews with members of the Sri Chinmoy Centre. These videos, with student of Sri Chinmoy, include short explanations about – why they were attracted to Sri Chinmoy’s path, experiences of meditation, and life as a student of Sri Chinmoy. 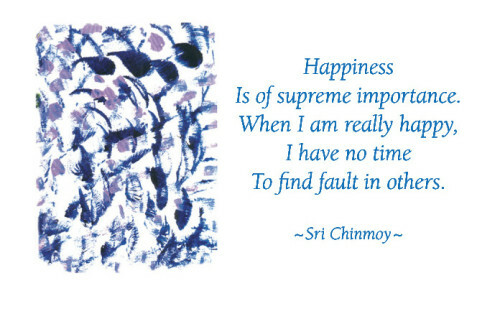 20 March is the International Day of Happiness, Sri Chinmoy Centres around the world support initiatives to promote happiness. 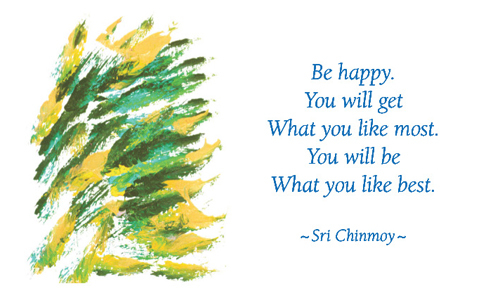 Sri Chinmoy has written extensively on the concept of happiness. 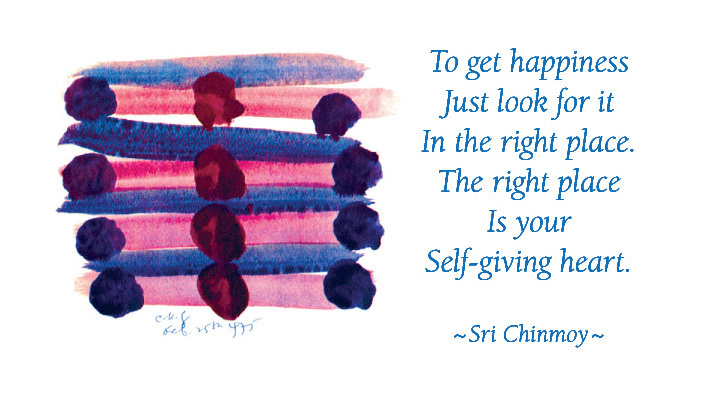 Sri Chinmoy teaches that in genuine happiness is spiritual progress. 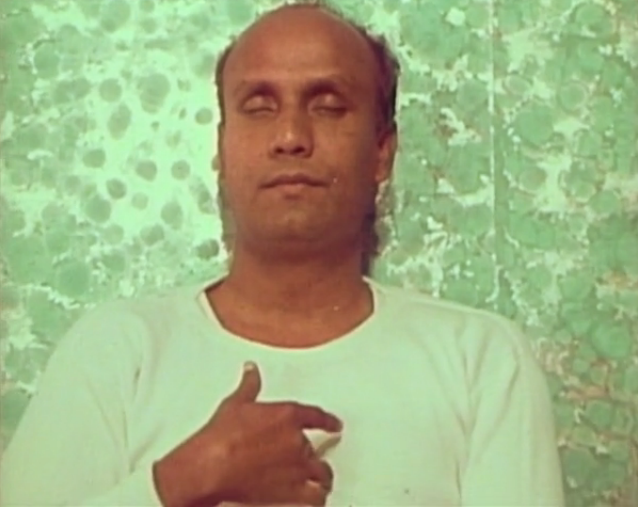 At Sri Chinmoy TV there have been several new videos, including archive videos of Sri Chinmoy’s early meditations in the 1970s. On Radio Sri Chinmoy, there have been some classic recordings by Sri Chinmoy and recent performances by members of the Sri Chinmoy Centre. 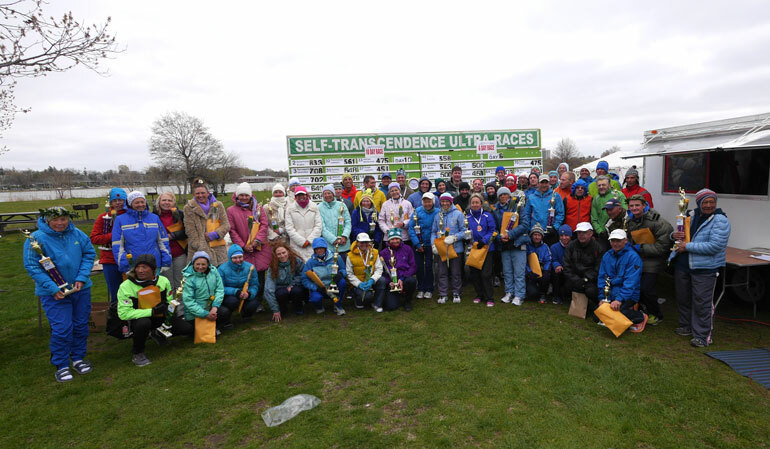 During April 19-29, 80 competitors from around the world took part in the annual 6 Day and 10 Day Self Transcendence races organised by the Sri Chinmoy Marathon Team in Flushing Meadows New York. The Six day race was first held in 1998, though the Sri Chinmoy MT have been promoting multi-distance races since the early 1980s. The races were founded by Sri Chinmoy who believed physical and spiritual self-transcendence could easily co-exist. I do not have any set goal; my goal is self-transcendence. I always try to transcend myself. I do not compete with the rest of the world. I compete only with myself, and I try to become a better human being. This is my ultimate goal. 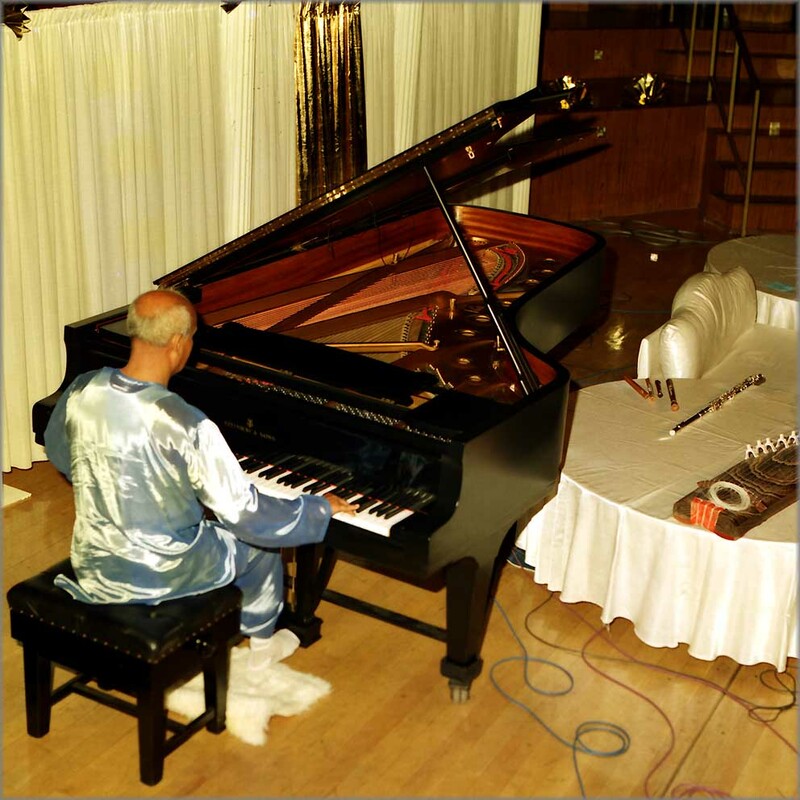 A selection of 50 memorable audio recordings from Radio Sri Chinmoy to mark Sri Chinmoy’s 50th anniversary since arriving in the West (New York) on 13th April, 1964. 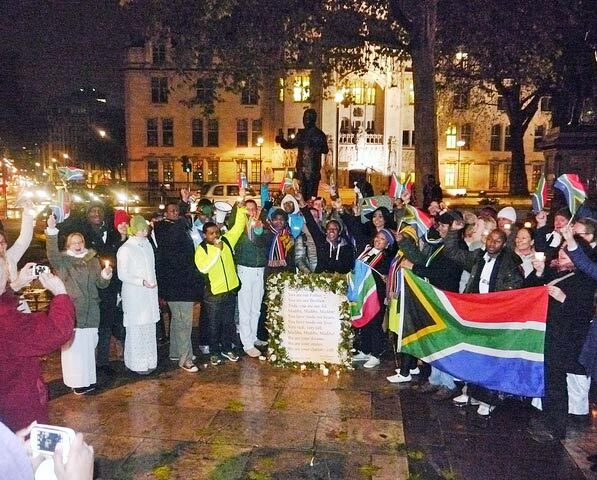 On Friday 14 December 2013, members of the UK Sri Chinmoy Centre offered a prayerful tribute to the life of Nelson Mandela. 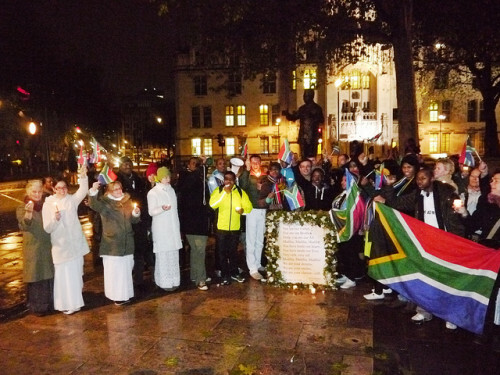 Approximately 30 members offered a few impromptu songs, readings and poems in front of Nelson Mandela’s statue in Parliament Square, London. 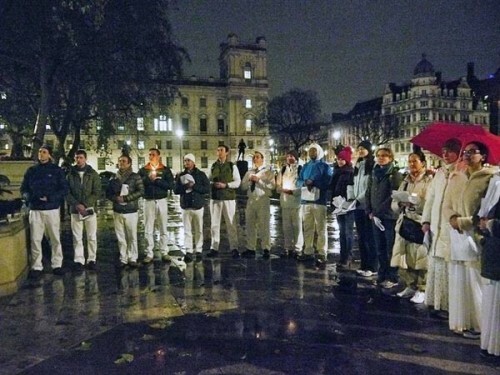 Beginning at around 7.30pm, the centre members sang several songs, composed by Sri Chinmoy and dedicated to Nelson Mandela. This included four songs of Nelson Mandela’s words set to music.